Silk scarves and I get along together really well. Why? Let me count the ways. First of all, they are perfect for spring, especially when you are going from an indoor to outdoor environment throughout the day. They are a different way to keep you warm for those chilly office situations, but fashionable enough to pop outside for a quick bite to eat. Secondly, they spice up any outfit. Wearing a dress that just isn't doing it for you? 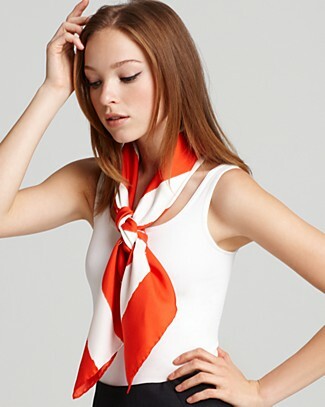 Throwing on this silk scarf will give it that element of interest to instantly make you look put together. While scarves are always in style, the silk scarf is one that is starting to appear more and more in stores due the season and the trend in general. Here are some options below at all price points. Enjoy! And for a not so literal interpretation on the trend, here is a "silk scarf" shirt. You can find these type of patterns not just for tops, but for dresses as well. Below is a top that I am loving right now from Zara. 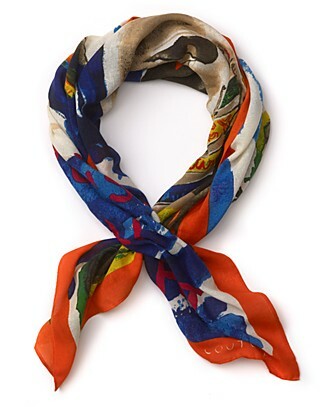 Do you own a silk scarf? If so, where do you purchase yours?